This is very quick and easy to make to serve with your soup. Slice French bread 1/2-inch wide in long angles. Approximately 10 slices. Mix olive oil and garlic in small bowl. Brush the oil mixture over each slice of bread, using all of the garlic. Sprinkle Mozzarella cheese on each slice. 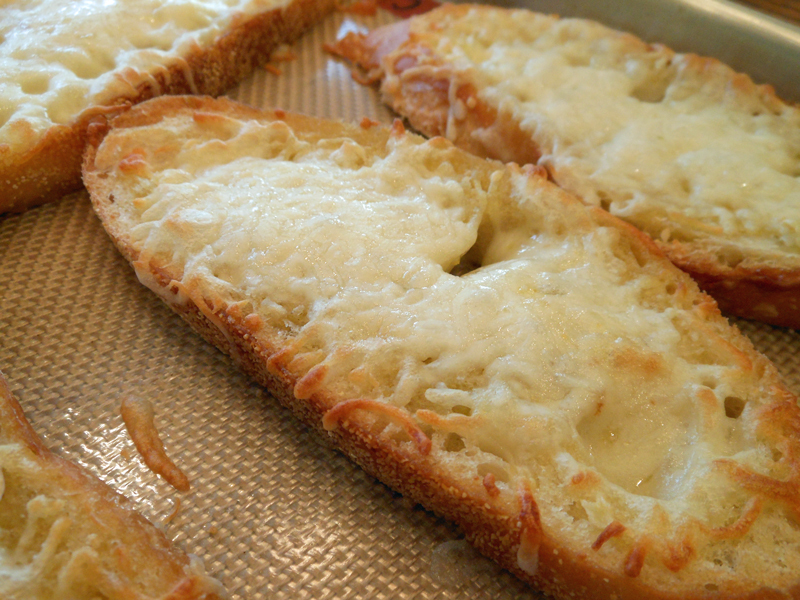 Bake for 5 to 10 minutes or until cheese has melted and is slightly browned.